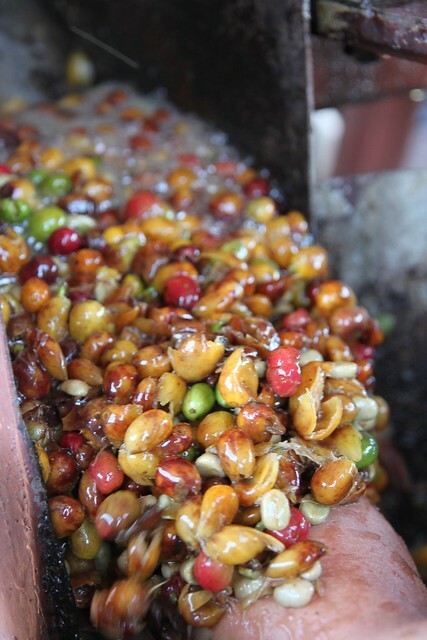 After harvest the coffee cherries arrives at the Wet Mill receiving station where it undergoes several sortings already. The over-ripe Raisins are separated from the unripe green and fully ripe red or yellow cherries in a floater – the overripe stays on top of the water and the others fall to the bottom. From there they are each processed differently. The Naturals will go through a size sorting and then straight to the patio for sun-drying. The green and ripe cherries go to a series of de-pulpers. Here’s an important selection already happening. 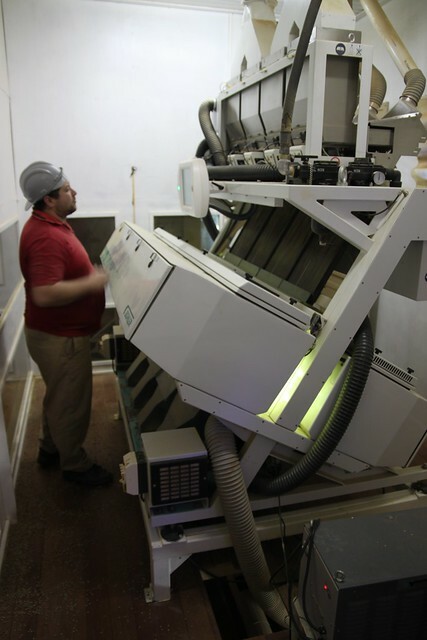 The first machine only applies a very low pressure thus depulping only the ripest cherries. This coffee will go to a lot like the Sweet Collection. The next machines adds a little more pressure and that will be for another class of coffee. The last applies a lot of pressure depulping green cherries too, and that coffee will not even be sold as a Daterra coffee. The pulp is then removed and used for compost, which is a very rich fertilizer. The coffee goes through a series of water tanks (water is used in most of these machines for transporting the beans around) where very lightweight beans are sorted out. After that they are put to the drying patio. In all this Daterra keeps strict control of each lot and can trace it back the whole way through the system, even when it’s been divided into several qualities. At each wet mill there’s a Lab where each lot is cupped and logged. Drying is essential in getting the right quality. Daterra begins with sun drying on huge patios and then finish with a mechanical drying. This year however, the weather has been extremely dry and warm, so a lot of the Naturals have dried so quickly on the patio that no machine drying was needed. The drying machines are basically like big tumble driers, made to run on steam. 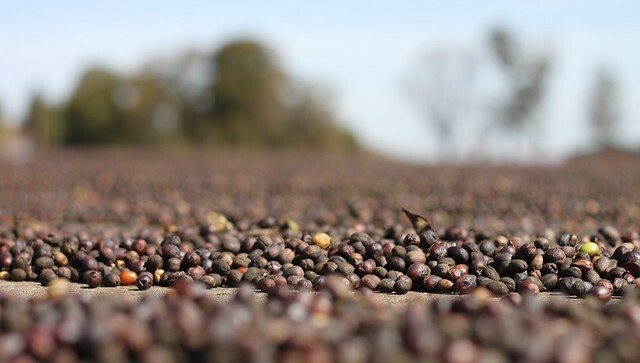 But Daterra just use hot water and dries at a much lower temperature than most. They find that a faster drying damages the beans resulting in a duller, flatter flavour in the end. After drying to a moisture content of 11,5% the beans, still inside their parchment, needs to rest for at least 30 days for the moisture to settle throughout the bean and throughout the entire lot. I had some talks with Daterra about whether or not this is really necessary as the beans will rest in the month it almost takes for the container to make it from the farm to us in Copenhagen. But they stressed that they need to rest in the parchment to develop correctly and that without the resting you might see big variances within the same lot from bag to bag. 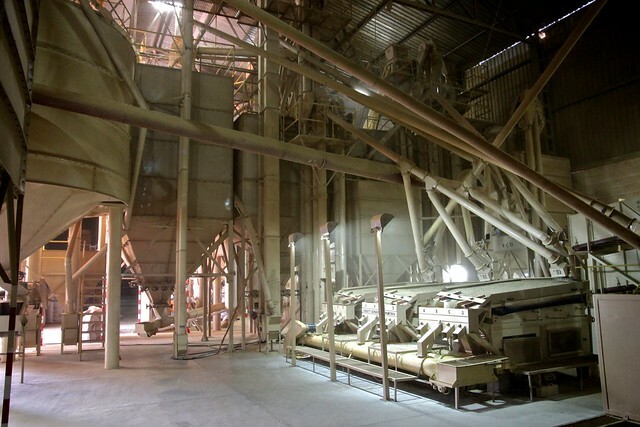 After the Reposo, as the resting period is called, the coffee goes to the Dry Mill. Usually a farm doesn’t have their own dry mill. 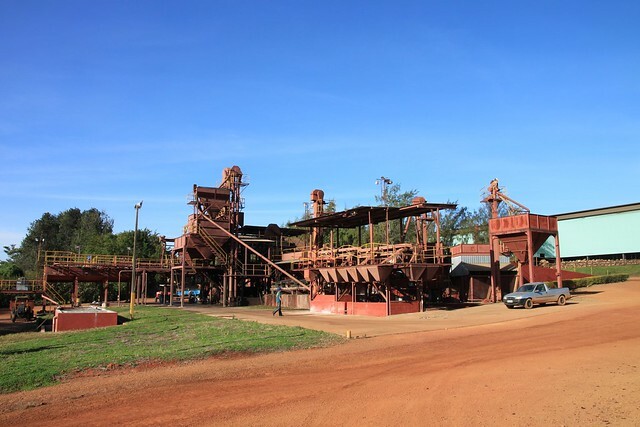 Finca Vista Hermosa in Guatemala gets the dry milling done at whatever dry mill Edwin thinks is the best that year and in Kenya the wet mills are usually part of a coop that owns a dry mill. 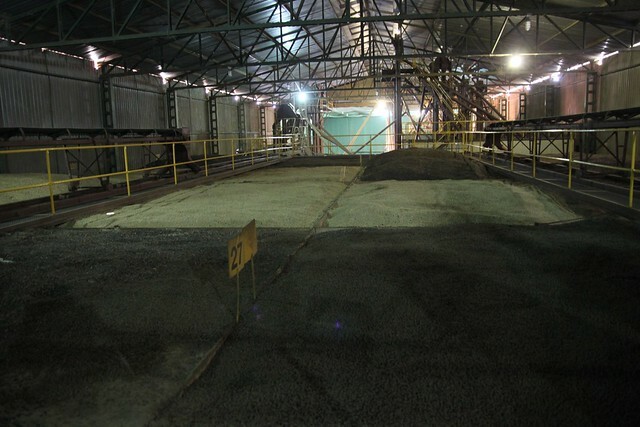 But since Daterra is not your usual farm, or your usual size, they have their own dry mill. And it is state-of-the-art. First foreign material such as twigs and stones are removed. Then the parchment or husk is hulled and removed. Next is the screen sorting, where the coffee is sorted by bean size. Each bean size will be a different quality and now we again have several selections of the same lot. The each of those sizes are put through a density separator, so that a given sized bean also has a given weight. 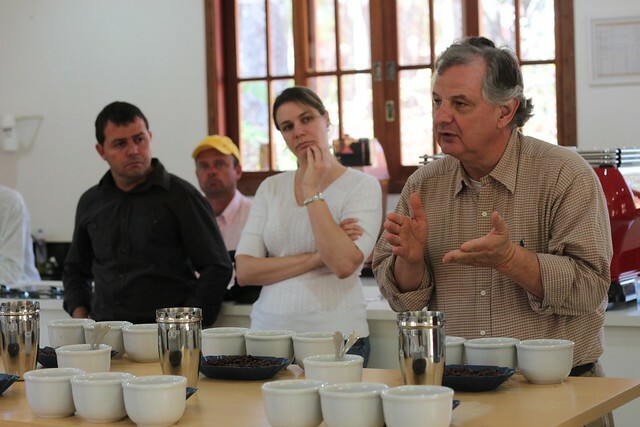 The last part is perhaps where Daterra sets itself apart from others. 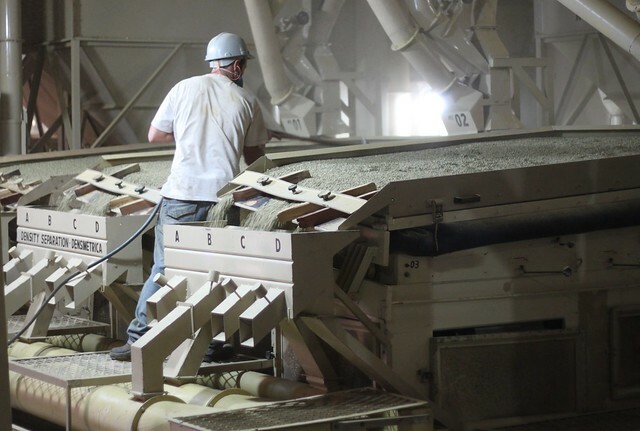 Electronic sorting machines are seen in more and more dry mills. They work by “looking” at the color of the beans and rejecting beans that fall out of a set range. They are amazingly effective and can sort up between 5.000 and 10.000 beans pr second! That’s not a typo. But Daterra found out some years ago that beans that are not fully ripe will reflect differently in Ultraviolet light. They have then developed an electronic sorting machine, based on a machine made for blueberries, that sort with this. It’s extremely funny to watch a portion of green coffee that looks completely uniform, and then watch it again under UV light. After passing through three different electronic sorting machines the coffee is finally ready to be packed and shipped. 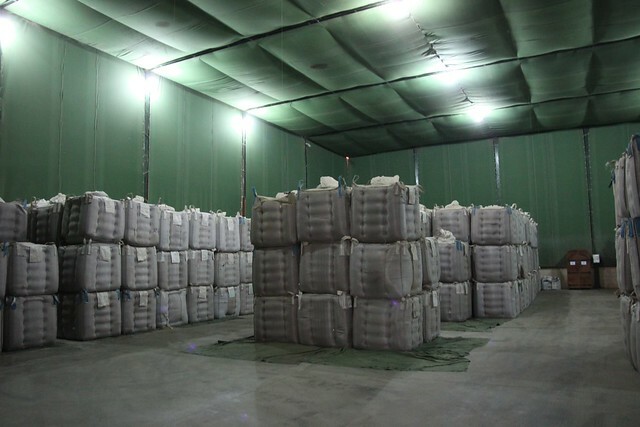 Daterra has a special temperature- and humidity-controlled warehouse to store the coffee in before and after packaging. And then of course there’s the Penta boxes. 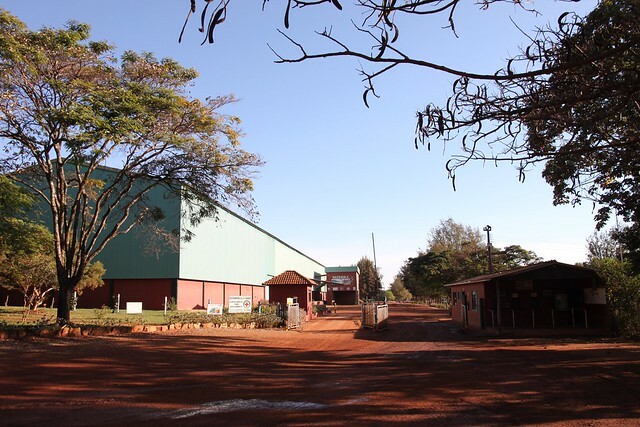 Daterra was the first farm in the world to start with nitrogen-flushing and vacuum packing their green coffee. By now lots of other farms are following suit and many of the best specialty roasters refuse to store coffee in jute sacks. 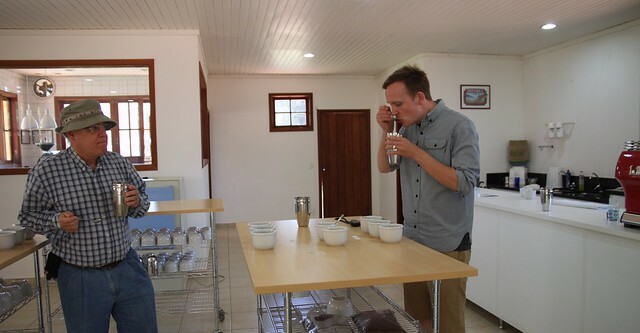 The last part is then cupping. The most important part for me. 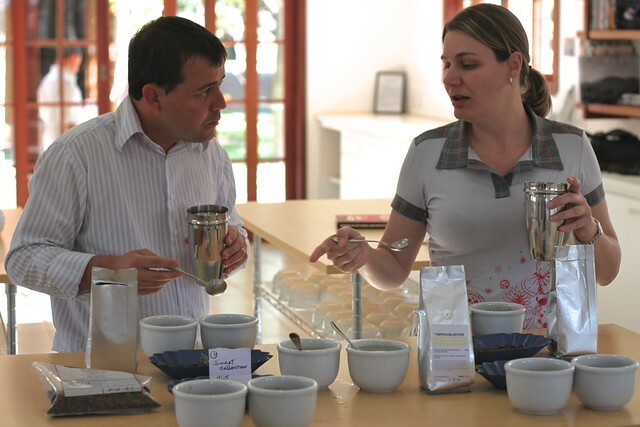 I had a tremendous time cupping with Carlinhos at the Daterra Coffee Quality Lab. They even had a 2-group La Marzocco FB80 there, so I could make espressos for everyone and feel a bit like home. We also cupped some of The Coffee Collective’s roasts, our Daterra Sweet Collection from last year and our two new Kenyans. Andreza and Carlinhos discussing which they like better; Gatina or Kieni. But of course that yellow one in the front won. 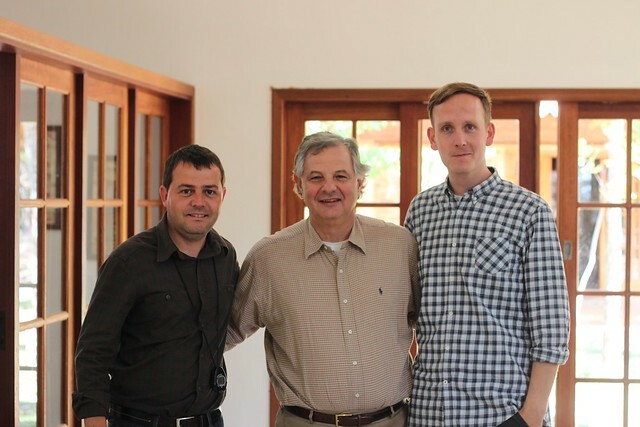 On my last day at the farm I was joined by Luís, the owner of Daterra, and George Howell of Terroir Coffees in Boston MA. If you don’t know who he is then you probably don’t work in coffee. The man’s a legend. I was fortunate to spend a few days with him after the farm visit and it was truly inspiring. My colleague Mads from Estate Coffee also came with them and it was fun to be more visitors to the farm. 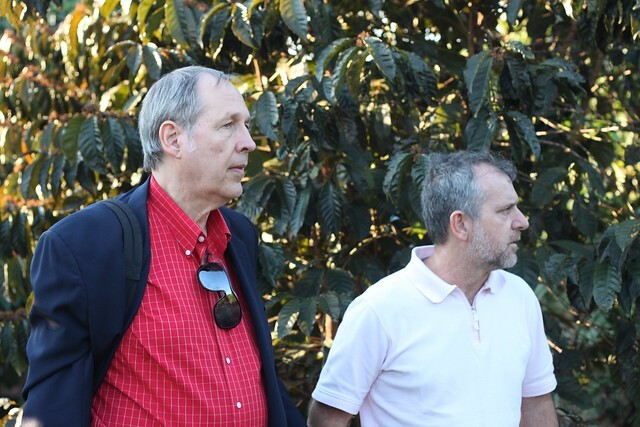 We also visited the Instituto Agronômico de Campinas with Leo. His friend and fellow agronomist and researcher Guerreiro showed us around. They do a lot of crossing of plants and research into varieties. 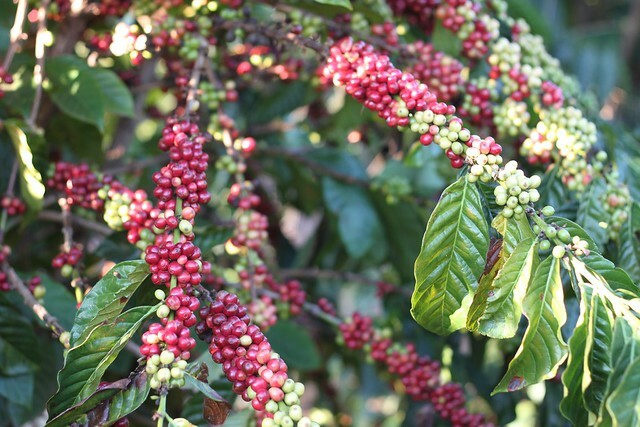 There’s a lot just outside with many differenct species and varieties of coffee trees. It was very impressive! Some didn’t look like coffee trees at all but had fruit you could tell was coffee. Others had fruit that looked totally different, but sure enough, inside was coffee beans. I must admit I didn’t know of other species besides Coffea Arabica, Canephora (Robusta) and Liberica, but I think they showed me 4 or 5 others. And then a whole bunch of arabica varieties and cultivars too. Very enlightening and I thank Guerreiro for the tour and for explaining me how crossing is done (I’ll save that for another time though). On the last day with Daterra we held an event for Brazilian media and coffee people at Ateliê do Café. It was a very cozy yet professional event and I had great fun pulling shots for people. We also go to taste George’s Terroir North Italian roast of Daterra, next to Ateliê do Café’s and our Daterra Sweet Collection Espresso. Now the coffee is still getting the final reposo at the farm. Then it’ll be dry milled and packaged. So it’s still several months till this coffee is good to be shipped to us. We’re looking forward already. The samples we got back home shows lots of promise and we’re already looking forward to going again next year. Probably it’s Linus’ turn to go then. Thanks to everyone at Daterra for showing such amazing hospitality and sharing every aspect of your work. I am deeply impressed in the openness and honesty that everyone at the farm showed. We really appreciate buying directly from Daterra and being able to visit every year. See you soon again! Fantastic posts! Thoroughly informative and enjoyable to read. A real insight into all the processes that go into making good coffee. great set of posts, klaus. good pics too!